In 2014 Outside Magazine ranked the Keyhole Route on Longs Peak in Rocky Mountain National Park as one of the 20 most dangerous hikes in the world. The article cited the peak's narrow ledges and its exposure to steep cliffs as some of the primary reasons as to why so many people have died while trying to reach its summit. Being located in a very popular national park, as well as being in close proximity to several major population centers, it's also one of the most popular fourteeners in Colorado. 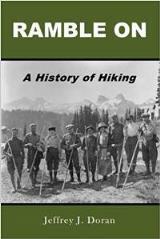 An estimated 7000 to 10,000 hikers and climbers reach the summit each year (compared to just 260 in 1915, and 623 in 1916). Although the standard route isn't a technical climb, as Outside points out, it's still relatively easy for inexperienced climbers to get in over their heads. All of this is a recipe for disaster, as many people have fatally realized. 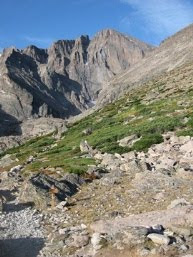 Roughly five years ago I published a blog that reviewed some basic statistics on the people who have died while climbing Longs Peak. That post was based on a list of all deaths on the mountain, which was published in the Summer 2011 edition of Trail & Timberline, a quarterly publication from the Colorado Mountain Club. Since the publication of that article, and my blog post, the peak has claimed several more lives. In this blog post I wanted to provide an updated review of the general statistics, offer a few observations into recent trends, and see if there's anything prospective climbers can learn from them. 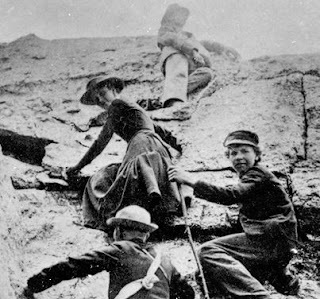 * Among the 67 fatalities recorded on Longs Peak between 1915 and 2017, only 4 were women. This may have a lot to do with the ratio of men versus women climbing the mountain, but could also suggest that women take less risks or are much more careful. Unfortunately there's not enough data to make any solid conclusions regarding this. Interestingly, the first person to die on the mountain was a woman. After successfully reaching the summit on September 23, 1884, Carrie J. Welton died of exhaustion and hypothermia while descending the Keyhole Route. Ms. Welton also has the distinction of being the first known person to die within the boundaries of the future national park. No woman has died on the mountain since 1972. * The average age for those that have died while climbing the mountain is 32.3 years of age. The oldest person to die was 75 when he slipped on ice along the Narrows section of the Keyhole Route. Throughout the lifespan of the park there have been two 16-year-olds that have perished on the peak; one in 1932, and the other in 1980. A total of 10 victims were teenagers, which represents roughly 15% of all deaths. Roughly 58% of all victims were under the age of 30. * Interestingly, however, during the eleven years between 1999 and 2009, the average age among the 11 climbers that died during that time period unexplainably jumped to 47. Since then, the average age among the 10 victims that have died after 2009 has returned to 32.6 years of age, which is roughly equal to the long-term average. * So far, during the second decade of the 21st Century, 10 fatalities have been recorded. However, the deadliest decade was the 1970s when the mountain claimed the lives of 13 people. * Just over 70% of all deaths were the result of a fall - most of them un-roped. * The technical East Face route has witnessed 14 deaths over the lifespan of the park. The popular Keyhole Route, however, has reported the most fatalities during that same time period. Nineteen people have lost their lives while climbing above the Keyhole. Eight of those deaths have occurred since 2009. Additionally, three other people have died at or near the Keyhole, while another died of hypothermia at the Boulder Field. An additional 4 other people have died while hiking on the Longs Peak Trail (below the Boulder Field) - all were heart attack victims. * Both the Homestretch and the Ledges on the Keyhole Route have seen the most fatalities of any one location on the mountain. Both have recorded 6 deaths since 1915. * 20 people have died on the mountain for reasons other than falls, including 7 from hypothermia, 6 from heart attacks, 3 by lightning, and 3 from exhaustion and exposure. Two people have died as a result of suicide, including one person who ingested anti-freeze at the Narrows in 1979. The young man was reported to be depressed over inadequate scores on his medical school entrance exams. * Perhaps the most famous person to perish on the mountain was Agnes Vaille. On January 25, 1925, Ms. Vaille became the first woman to climb Longs Peak in the winter. While making her descent along the Keyhole Route, Vaille slipped and fell about 150 feet. Spent with fatigue, Vaille insisted she needed a short nap, but froze to death before her hiking partner could bring back help. Today, just below the Keyhole, is the Agnes Vaille Shelter. Built as a memorial to Ms. Vaille, the rock shelter also serves as a refuge for hikers and climbers in need. * One other notable death occurred in 1889 - prior to the park's establishment. Frank Stryker was descending along the Homestretch on the Keyhole Route (according to Death, Daring & Disaster he was still ascending) when a loaded pistol fell out of his pocket and discharged into his neck. You could say there was a bit of karma involved. The 28-year-old was taking pleasure in launching large boulders down the mountain. The newspaper account at the time said "he announced his intentions of sending off a particularly huge stone" just before the accident occurred. The man continued to cling to life for ten more hours while his companions attempted to transport him down the mountain on a makeshift litter. If you're considering a hike to the Keyhole or Chasm Lake, or even a climb to the summit of Longs Peak, it's always a good idea to know your limits and to respect the mountain. The park website warns that the Keyhole Route "is not a 'walk in the park.' This is much more than a hike. This is a climb, a classic mountaineering route that should not be underestimated." For more information on hiking to the Keyhole, please click here. For more information on hiking to Chasm Lake, please click here.